Last year we thought we would try one Seniors Trip, However they were so popular we ended up doing 3! 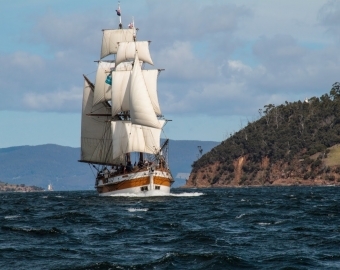 Are you ready for a Tall Ship Sailing Adventure from Hobart? LadyNelsonVoyage courtesy of Nick Hayward on Vimeo. You will all have a bunk, it is a bit like bunkhouse accommodation. FREE-RANGE organic brown wild duck breast and leg stuffed with hand-polished Israeli pearl couscous, surrounded by a sprinkling of sun-dried heirloom apple picked by naked virgins under a full moon. No, none of the above but usually something like roasts, with pre dinner dips and nibbles a dessert. Lunch is usually a selection of meats and salads and soup. For breakfast you can stick with the continental options or weaken and indulge in bacon and eggs and sides. 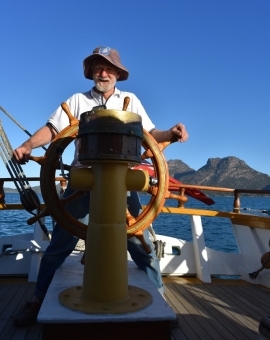 You can climb the masts, furl and unfurl the sails, steer the ship, handle the lines, help out all round or watch the crew do it. 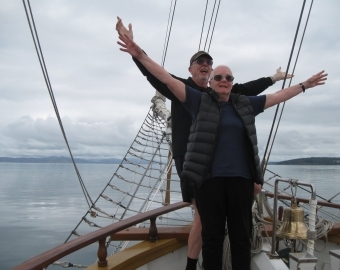 Most people who come away on our trips want to get involved in sailing the ship. You do not have to go up the masts (unless you want to). 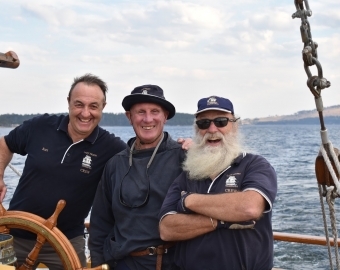 It will be entirely up to you how much you get involved in the sailing versus just enjoying Tassie's spectacular coast as it passes you by. 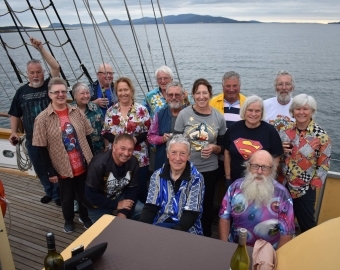 After dinner you may want to join in singing a sea shanty or two. We will have some mini courses where you can be taught basic navigation, Knots and splices and other nautical tasks. 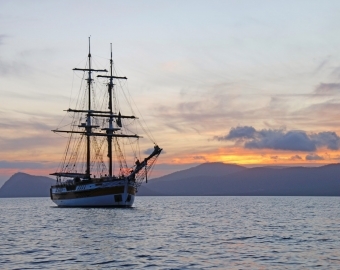 Cost: $320 for 3 days-2 nights, including all accommodation , sailing and meals. While the physical demands of sailing can be as low as you want, you will need to have sufficient mobility to able to move around a multi decked ship including 'going below' via ships ladders ( a cross between stairs and a ladder). If you are unsure, contact our office on 03 6234 3348 and we can provide advice.